Are you looking for a better way to manage photos of your family, friends, vacations, pets and wallpapers on your BlackBerry? Ascendo Photos allows you to discover, edit and transfer images from your desktop over a data cable or via Bluetooth. Once transferred to you BlackBerry, you can set background images, display slide shows, create screen savers, set up galleries, view thumbnails, send images by email and lots more. Advanced features make Ascendo Photos the best selling photo manager for BlackBerry. 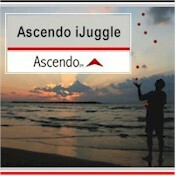 Ascendo Photos lets you keep your favorite image with you where ever you go! With Ascendo Photos you can optimize your images on a desktop computer and get the most out of them on your BlackBerry. 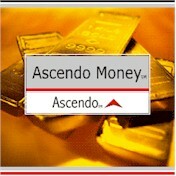 Ascendo Photos transforms your BlackBerry into a multimedia companion in addition to being a valuable professional tool. 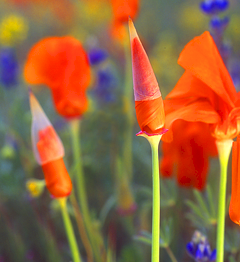 Automatically discover images stored on your PC in JPG, GIF, BMP, Tiff, and PNG formats. Display images as thumbnails for quick navigation and selection. Connect to your handset and the screen emulator will automatically adjust to the proper size. Drag & Drop images into the emulator. The image will be displayed exactly how it will appear on your BlackBerry. Reposition image using controls for Fit to Screen, Actual Size & Best Fit. Position the cursor over the picture and use the hand icon to move the photo in the emulator screen. Zoom in or out and use the slider bars to pan image from left to right or from top to bottom. Rotate image clock wise or counter clock wise with user defined rotation step. Adjust Contrast and Brightness using slider bars. Define tags such as image name, size, notes and Gallery in which to store image. Set images or Galleries to Private so they will not be displayed during slideshows & screensavers. Create Password to access private images. Load several images from your desktop to your BlackBerry at once. Transfer image to BlackBerry using USB cable or Bluetooth. Email images to a friend from the Desktop. Navigate through directories and display images in expanded or collapsed mode. Set up "Watched Directories" that will be monitored by the Photos Desktop for new images. Customize Photos Desktop with several presets including default size for opening and image and attributes for scanning directories. Add, Edit or Delete multiple Photo Galleries. Move image from one Gallery to another. Store images in BlackBerry memory or on SD Card**. Display photos in Thumbnail, Detail or List view. Zoom In, Zoom Out and Rotate images on your BlackBerry. Set images as Backgrounds on your BlackBerry home screen*. Save images to a directory and use them with the BlackBerry Photo Album*. Use the BlackBerry Address Book to select the image and display it when a person calls you (Photo Caller-ID)**. Send photos by email or MMS* from your BlackBerry. Display full screen images as a Slide Shows. Select audio file to play in background while displaying Slide Show. Includes volume control button**. Create Screen Savers that are activated after a user defined inactivity delay. Set Screensaver Transitioning effects to horizontal, vertical or squares, see below. Choose from 100 icons to display next to Gallery names. Override the BlackBerry "Backlight Timeout" so slide shows are displayed as long as you want. Flag images or galleries as Private so they require password to access. Configure Ascendo Photos with presets including Slide Show Delay, Screen Saver Gallery and Show Private Images, see below. 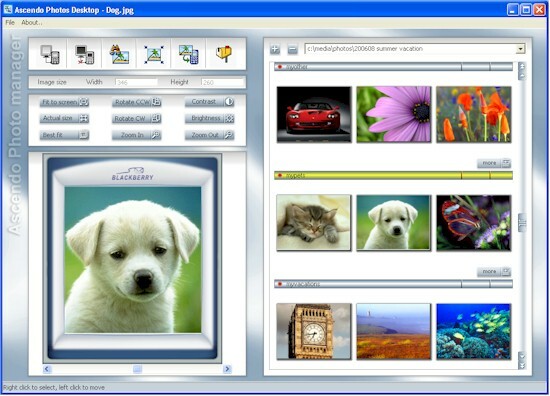 Customize user interface with presets such as Default Image View, Skip Splash Screen and Skins (10 color schemes and in application graphics). Display full screen images and use track wheel or track ball to move from one image to another. Change position of an image in a Gallery or Slide Show rotation. Delete images one at a time or "Delete All" images from a Gallery. Buy Ascendo Photos today and receive Ascendo Theme Pack for BlackBerry ($9.95, not compatible with Bold & Storm) and 3 images from Photo Pack by Scott Roush for free. 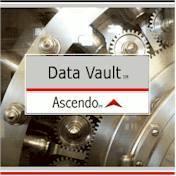 Ascendo Photos is part of the Ascendo Wallet suite of applications. Click on images below to go to product descriptions. BlackBerry OS 4.0 or above and 200k free disk space. Features followed by (*) require BlackBerry OS 4.1. Features followed by (**) require BlackBerry OS 4.2 or above. Desktop component requires Windows 2000, XP or Vista with 0.5 Meg of free disk space. BlackBerry Bold, BlackBerry 9000, BlackBerry Curve, BlackBerry 8300, BlackBerry 8800, BlackBerry 8830, BlackBerry Pearl, BlackBerry 8100, BlackBerry 8700, BlackBerry 8700c, BlackBerry 8700f, BlackBerry 8700g, BlackBerry 8700r, BlackBerry 8700v, BlackBerry 8703, BlackBerry 8703e, BlackBerry 8707v, BlackBerry 7780, BlackBerry 7750, BlackBerry 7730, BlackBerry 7520, BlackBerry 7290, BlackBerry 7280, BlackBerry 7270, BlackBerry 7250, BlackBerry 7230, BlackBerry 7210, BlackBerry 7130, BlackBerry 7130v, BlackBerry 7130g, BlackBerry 7130e, BlackBerry 7130c, BlackBerry 7105t, BlackBerry 7100, BlackBerry 7100x, BlackBerry 7100v, BlackBerry 7100t, BlackBerry 7100r, BlackBerry 7100i, BlackBerry 7100g. Other compatible models may not be listed. 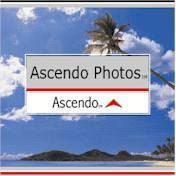 Recommend Ascendo Photos to a friend and both of you will receive a discount on your next purchase. Just send a blank email to recommend@ascendo-inc.com with "Ascendo Photos" in the subject field. Click here for sites of interest to photographers and designers. Copyright � Ascendo Inc. All rights reserved.